Lately I'm obsessed with this coat, I basically wear it to death! Unfortunately it is sold out now so I can't leave a link for you guys. I got it in Zara for about $40 and the original price was $150! So it was a really good purchase so don't blame me that I wear it all the time. 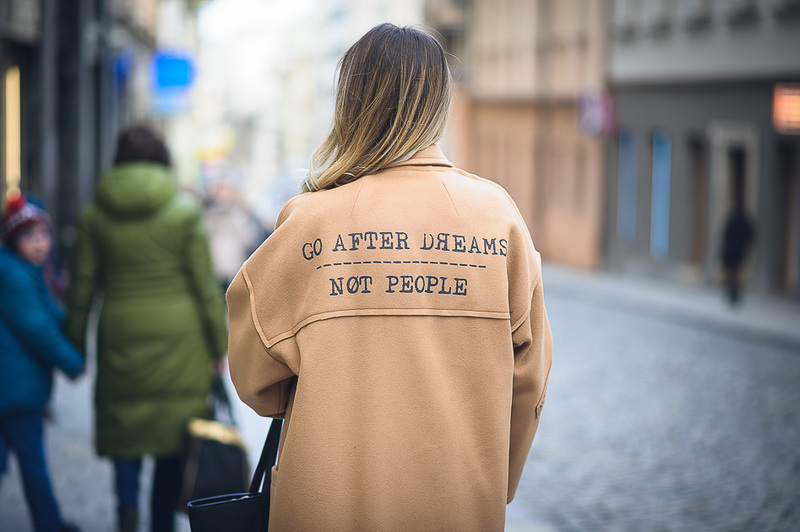 I also love the slogan on its back which says: Go after dreams, not people. It's also very warm and you can wear it with anything. 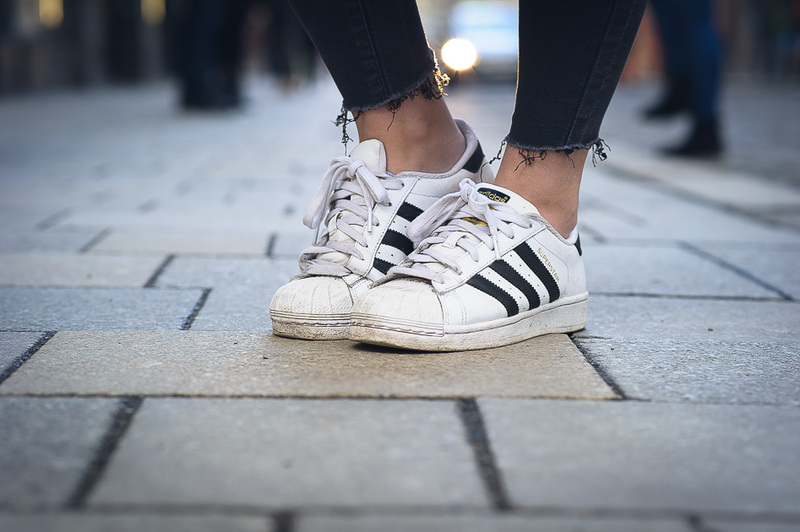 I chose my favorite Adidas superstar, black jeans and white cropped sweater to wear with. But it also looks good with some light jeans or even white jeans and some ankle boots. Photos by Jaromír, FB here.